Grendel Prime searches the stars for a new home for mankind, and Matt Wagner returns to his darkest creation! Today, Dark Horse is happy to announce a new Grendel series from Eisner Award-nominated creator Matt Wagner (Grendel, Mage), joined by colorist Brennan Wagner (Grendel vs. The Shadow, Batman), and letterer Dave Lanphear (Aliens vs. Predator: Deadspace, Mage: The Hero Denied). 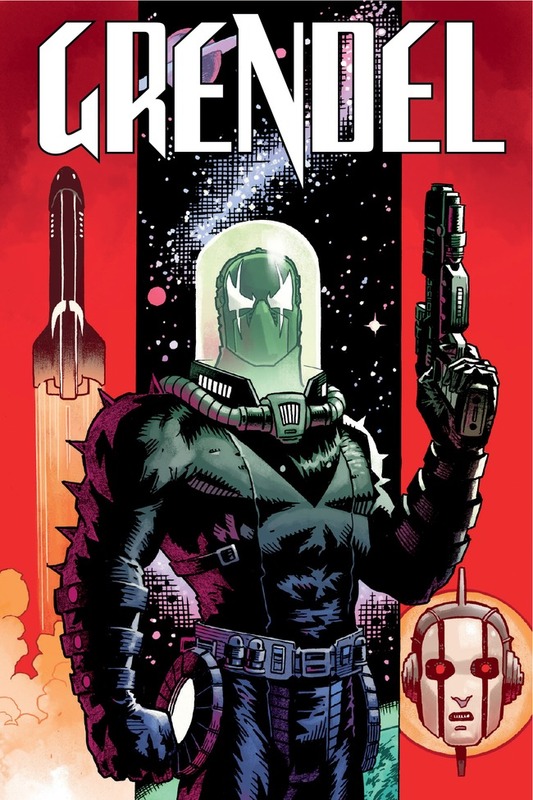 Grendel: Devil’s Odyssey sees Grendel back in action as he sets off into space to save humanity itself. This new series will see standard issue covers illustrated by Grendel creator Matt Wagner, with a special issue #1 variant illustrated by Eisner Award winner Fábio Moon and variant covers coming for all subsequent issues. As civilization comes to an end on Earth, the final Grendel Khan gives Grendel Prime a new directive: Find a new home for the human race. But will the deadly and relentless paladin ultimately save humanity . . . or destroy it? Find out in Grendel: Devil’s Odyssey! Grendel: Devil’s Odyssey #1 (of eight) goes on sale October 2, 2019.